Join us for some great food (meat & veggie options available!) 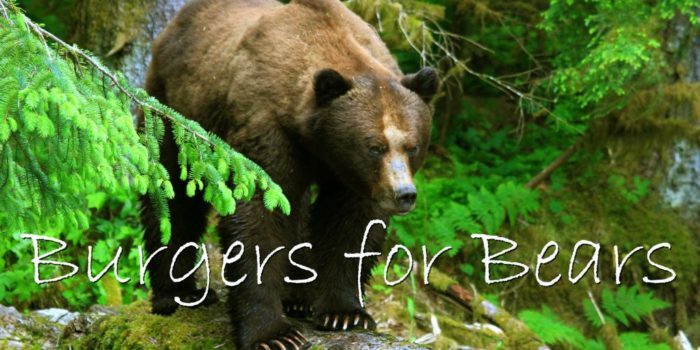 and drinks at Great Bear Pub in Burnaby to help us raise funds for wildlife preservation! Lots more happening too including live music, a wildlife display, door prizes, 50-50 raffle, a wildlife trivia game, and a silent auction! When else can you eat burgers and drink beer to support a great cause??! Buy a ticket to dine out with us this evening between 6-9pm to support our charity. The Great Bear Pub is generously donating a portion of this night’s ticket sales to us so your purchase supports wildlife conservation in BC! It is recommended that you purchase your tickets in advance as there is a max capacity for our event. Tickets entitle the guest to one burger with fries or house salad, plus a sleeve of local craft beer, a glass of the house red or white wine, juice, pop, coffee OR tea. All of the burgers (either hand-crafted beef, seasoned chicken or garden veggie) comes dressed with pesto mayo, lettuce, tomato and onion on an organic bun. This is a licensed pub so only people aged 19+ will be permitted. ID will be checked at the door. 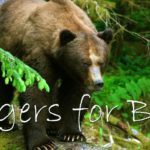 Get up close and personal with BC wildlife species. Touch and feel bear skulls, turtle shells, caribou antlers and more! To thank you for choosing to dine out in support of us, all of our guests will receive a LUSH bath bomb and entered into a draw to win a fabulous door prize: an organic farm box from SPUD.ca! Get some Christmas shopping done early or just treat yourself with some great deals on awesome items! Unable to attend or want to get a jump on the auction? Online bidding will commence via our auction Facebook album on November 5th at https://www.facebook.com/media/set/?set=a.2079489592081697&type=1&l=4474ce6b2b and include BUY IT NOW prices if you want to snap it up right away! The auction will continue with all remaining items from 6-8:30pm during the event on Dec 4 with the winner being announced shortly thereafter. 50-50 DRAW! Buy a ticket for a chance to walk away with a big wad of cash! We’re going to hold a wildlife trivia game from 7:30-8pm. Show off your knowledge about animals and win a great prize!